Toxoplasmosis in adult humans—especially the elderly and immune-deficient—can cause fever, pneumonia, heart disorders, muscular difficulties, lymphadenopathy, and death. After all the publicized concern about the presence of phenylbutazone (Bute) in horsemeat, researchers now fear the meat could also carry the organism that causes toxoplasmosis—a potentially deadly human disease. Recent study results suggest that up to 15% of horses in Brazilian slaughterhouses and 30.5% of those in southwest China could be infected with Toxoplasma gondii. In horse eating countries, the horse can now be added to this picture. Toxoplasmosis in adult humans—especially the elderly and immune-deficient—can cause fever, pneumonia, heart disorders, muscular difficulties, lymphadenopathy, and death. Frequently, infection goes unnoticed in healthy adults. But the disease is of particular concern in pregnant women, as infected fetuses can develop eye, ear, skin, and nervous system disorders. In 2011, French researcher Christelle Pomares of the Université de Nice–Sophia Antipolis–Inserm, in Nice, reported three cases of toxoplasmosis infection in humans in France, most likely from consuming horsemeat. The cases included the death of a 74-year-old man and abortion in a 21-year-old woman due to severe fetal abnormalities. The horsemeat probably came from Brazil or Canada, according to the strain analysis, Pomares reported. Toxoplasmosis has long been associated with cats as “carriers” of the disease caused by T. gondii oocysts—an egglike parasite structure, researchers say. Cats don’t necessarily “carry” the disease itself, but unlike other warm-blooded animals, they shed the oocysts in their feces. Equine infection occurs through ingestion of oocyst-contaminated pasture; complicating matters is the fact that oocysts are shed in great quantities and are particularly hardy, remaining viable for months in the open environment. In a recent study, Fernanda Evers, DMVP, PhD candidate in the Zoonosis and Public Health department at the Universidade Estadual de Londrina, in Parana State, Brazil, and colleagues collected samples from 398 randomly chosen slaughter horses in six Brazilian states, which they tested using two different techniques. Combined, the techniques confirmed that 60 (15%) of the samples were positive. Meanwhile, Chinese scientists were independently discovered a similar phenomenon in their country. Researcher Qiang Miao, PhD, of the College of Animal Science and Technology at the Yunnan Agricultural University in Kunming and colleagues tested 266 horses and 133 donkeys in slaughterhouses for T. gondii infection. They found that 81 (30.5%) of the horses and 27 (20.3%) of the donkeys were positive for T. gondii antibodies, according to their published report. Although the disease can be dangerous in humans, few horses are affected. Toxoplasmosis rarely causes clinical signs in horses, but can cause neurologic problems such as ataxia and blindness in young or immune-deficient horses. The study, “Diagnosis and isolation of Toxoplasma gondii in horses from Brazilian slaughterhouses,” was published in Revista Brasileira de Parasitologia Veterinária. Wow, and they tested for an organism and not drugs. Wonder how many other parasites, bacteria, and viruses will be discovered along with all those drugs and medicines that are labeled “Not for use in animals to be consumed for food”? I Would ThinkThat The Rate Would Be Higher Since Most people Have Barn Cats for Rodent Control. People have died from this and they.miscarried and I said it for years. Dekalb plant KNEW this! Illinois was aware, kill buyers knew this. As well tranferrance has occurred with Hep virus, west nile, encephylitis, leptospirosa, and herpes. I havent the data on coggins yet, but the others they buried the articles online or removed recently to hide this. There are tons of other illnesses once transferred they get a free pass on because they deny the link to horsemeat. I have been putting illnesses transferrance in the mix on comments under every article for the past 4 years and until now went unverified. CDC had this documentation and could have spoken against the meat but remains silent! I begged CDC to expose it. Nothing! These people are contaminating amd killing people and its played off as something else caused their illness. A man named Paul in France died because his immune system required medication, the toxo in the meat inferred with the drigs he was taking when they attempted to treat him for the wrong strain the drugs failed and he died. From horse steak people, from a horse steak with toxo! This is a Carrier for serious illness and theres no tracibility with the coverups. The meat that killed these people inFrance was traced to Dekalb, Illinois. American horses in get this year……2006! This is Not solely about greed. This about controlling hodden agenda and feeling powerful. Thats what happenec to.wallis she feels powerful with the corrupt people helping her mine her way through protests. The Donk ex marine telling the world to.have opposers Fired from their jobs for opposing this. This is about power, these people feel so far above the law and so far behind all the 5 minions they have, apparently so far they dont care would be infected, contaminated, or die to sell their precious horse meat. Theres alot unchecked by the FSIS because Sue has a connection inside who is working this to her advantage. Extraoridinary coverup! FSIS amd plant guidelines to check for West Nile…….visually look at horse! Veterinarians have to test them but these idiots were looking at the horses….some horses never exihibit the symptoms visually. But this is their fool proof meat safety test! And wallis wants to feed homeless and school children! And if a source I have is right a pharmacutical company is in on all the contrdictory misinformation as well! They already on Oct 15, 2013 published a vet manual declaring bute safe…..but read article you see its in bloodstream, their calculation is minimum dosage in a lifetime duration, and they have NOT performed the extensive, longterm study it takes to verofy such information, they just changed it to half life. Now im no idiot, you cannot have half life on drugs that.BOND with Blood! But they do mention its fatal to humans!? 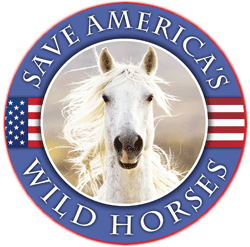 “This is one reason historically humans did not eat horses [or perhaps stopped eating it]…this disease would wipe out mass populations. There is an ancient blood type such as the RH negative factor that has developed an immunity to this disease, but most people don’t have it. Something to think about when eating horse meat!! This is worth a research.” Someone needs to get this to ANN MARINI at EWA – I have run out of time. And now it’s in Aldi’s meats in the USA? Is this true? Although I never shop there alot of lower income and thrifty minded people do. I don’t have a Aldi’s meats near me except that Trader Joe’s is owned by Aldi’s or siblings? TJ won’t tell you where there foods are sourced from. That becomes super suspicious to me. Imagine – England’s Princess Anne said the only thing wrong about the horsemeat scandal in Europe is that the product was mislabeled as beef. This article proves that there are other reasons besides Bute that are toxic to humans. She also said horses that are better taken of offer better meat, therefore horse slaughter should be debated. So then, the question remains – would the Princess take her horses to slaughter or just other peoples horses? Shame on her and her hypocracy of being crazy in loving with her horses that is now proven false. longer appreciate the life of another, human or equine. I was going to ask if cooking killed the parasite, but then I remembered that many Japanese eat horse “sushi”, Europeans eat horse tartar and Italians make salami from horsemeat, which isn’t cooked. I don’t want people to die from what they eat, but if they do, and it’s documented, I think it should be the headline on every news show, and should be repeated every time SS and DD get an article written about them. Ok but horses are too smart & man’s helpers & don’t deserve to be eaten in any form or additive period! 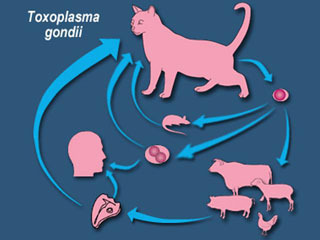 I just looked up some info on Toxoplasma Gondii looking to see how many cases were identified in Europe. The article said that 15% was found in the US but 50% was found in certain European countries with the highest rate in France at 50%. I believe these studies were on pregnant women. A large portion of the worlds population is infected with these parasites and I’ll bet it could be tracked back to the eating of horse meat if any country wanted to do a large study on this. Any country like all of the Asian countries eat cats and horses to the they get their hands on one. I will avoid salami in the future. Didn’t know the Italians used that in salame. Have relatives over there and I am sure going to ask. If food safety were the issue, no one would be thinking about slaughtering horses.